Private nursing schools are not sponsored by the state government, and they thus receive little to no direct funding from the state. Private institutions are a good option for students willing to pay higher tuition in exchange for a prestigious education, smaller class sizes, and a personalized experience. 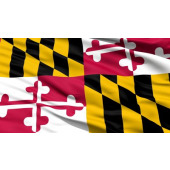 Aspiring nurses can gain licensure for three different nursing roles at Maryland’s private schools: licensed practical nurse (LPN), registered nurse (RN), or advanced practice registered nurse (APRN). Maryland has five private nursing schools. Three of these institutions are located in the city of Baltimore: Johns Hopkins University, Notre Dame of Maryland University, and Sojourner-Douglass College. The two others, Stevenson University and Washington Adventist University, are situated in Baltimore and Montgomery Counties, respectively. All of Maryland’s private nursing schools offer at least a baccalaureate level of nursing education; several offer graduate nursing programs as well. Maryland’s newly minted nurses can expect attractive compensation and employment opportunities. According to the Bureau of Labor Statistics, the state’s LPNs earn a median annual salary over $50,000. Registered nurses earn $71,000 per year on average, although BSN-educated RNs frequently earn top-quartile pay of $84,000 or more. Local APRNs can earn $90,000-180,000 annually depending upon their field of specialization, with the state’s 500 nurse anesthetists forming the very high end of this range. Maryland has a wealth of healthcare providers that need qualified nurses. These include public institution like the Department of War Veterans and University of Maryland Medical Systems, as well as private employers like Holy Cross Hospital and Genesis HealthCare. For more information on private nursing education in Maryland, please refer to our comprehensive list below of the state’s private nursing schools and programs.